Beautiful post. My own first experience of seeing someone who moved like me was seeing video footage of Hunter S. Thompson. I am quite certain that Thompson was autistic. Most people attribute his unusual physicality and speech to his drug abuse, but I believe that the unusual physicality and speech came first (i.e., from birth), and that the lifelong drug abuse was the coping strategy of an undiagnosed autistic person whose career and interests required him to constantly put himself in overstimulating situations. As a deaf person, I’ve been somewhat privileged in some ways in that there are probably more genuinely Deaf characters in TV and movies than “autistic characters” as you define them here. But it is still an electric moment for me on those rare occasions when I do see one more Deaf character on the screen, and especially when the Switched at Birth series began because that has multiple deaf characters. Always before there was ONE deaf character at a time. So either I related to that one person or else I didn’t (if it was a character very different from me in other ways). And by the time I would figure this out, often the deaf character would be gone. But for Switched at Birth, for the first time it doesn’t matter if any one given character is someone I can’t relate to fully because there are several different characters who share some experiences I can relate to at some level. I hope some day there will be an equivalent of Switched at Birth with multiple autistic characters. Now that the autistic community has slowly been gaining in strength and visibility within the past few years (ASAN was much smaller and less visible even just 5 years ago compared to now), I think we will get there, though it will be still some years away. Have you ever heard any Peter Leidy? Although he is not an official member of the club, at least that I know of, he has the best songs about institutional life ever! So when looking to rock out to the abuses of authority in the guise of help, you should have a cd or two laying around. Thank you. Once again, you have captured it and released it back to us all in a way that I can see it. I liked this post (and so many others) that I wrote about you on my blog, I don’t have a lot of followers, but I did tell them to come read this. Keep it up. You routinely help me with perspective with my son, who Ihope one day will me able to reflect as eloquently on his innermost thought as you do. Thank you. yes yes yes and yes. The show’s repeated and continual insistence that Abed is Okay was so important to me. I watch Physical Education over and over and I think it’s changing my life. I don’t know if it helps at all, but Virtual Systems Analysis, I thought, was about Annie learning to be more like Abed, more than Abed learning to be more like Anne. But then, I had my heart broken by the Dreamatorium-for-one in the finale. No matter what though, Abed Nadir DOES exist. And if he does, so can we. Absolutely blown away by this piece. My heart is bursting. I don’t have proper words to form a coherent comment, I’m sorry. This is really touching and eye-opening. I never stopped to think about the importance of feeling that your own story is represented. I just have to ask, have you considered tweeting this to Dan Harmon? Wow! What more can I say? I love Community and it has moved me many times over the last three years, but to view Abed’s character through the eyes of Julia is very enlightening. Danny Pudi and Dan Harmon deserve a lot of credit to be able to touch her in such a way. Yet again, Community finds a way to amaze me. I would take a bath in your writing if I could. And I am despondent over the changes-to-come. And thank you. Darn it, I told myself I wasn’t going to cry today. But the tale, she is too poignant. Thank you so much for posting this, it is things like this that remind me why I cry when I hear the stories of other people like me, people that were left out, never told they were good enough, people like me, that have diagnosed Major Depression, and maybe even, like me, once thought that there was nothing left worth living for, it took hearing other stories like mine to inspire me, seeing other people ‘like me’ embrace that big moment when others told them they are worth it for me to decide that I will live the rest of my life for those that don’t live anymore and help those that need a hand to help them up because knowing that someone else is there, and that someone else got through it, that it doesn’t have to be the end… it is the most powerful thing you will ever feel. That is why I do my best to never remain silent about something that can be so life-changing. This is a beautiful read. Very poignant. I work with autistic children and it makes me happy to know that these kids have media representations of themselves, and it also makes me sad that there are so few of them that aren’t caricatured. Which is yet another reason why I adore Community. I like that you brought up the difference between autistic characters and TV Autistics because there really is one. I’d reccomend the Syfy show Alphas. It has the only other instance I know of an autistic character as opposed a TV autistic. Gary Bell, like Abed, is a part of a group where his autism isn’t a caricature, orused as a reason to separate or differentiate him from the team. No one does a special episode about him either. I’m an Aspie who identifies far too much with Abed and couldn’t have expressed myself any better. This piece is beautiful and just … true. It brought tears to my eyes. Lovely post. Nearly had me crying. I’ve had a rough couple of weeks dealing with a family loss and then the rest of the family falling apart into the void remaining. waiting for when this loss was going to hit me has been very hard – knowing it was coming and being able to detach hasn’t helped. your story was linked via pajiba via warming glow and as I love community as well, I automatically clicked you. and then I cried for 30 minutes. your beautiful writing and your feelings of loss gave me the support and hugs I’ve been looking for these last two weeks. I wish I could explain better, but words have been failing me. thank you for your words and know that you aren’t alone in your loss. I have albinism, (I am an albino), genetic condition that causes a lack of pigment in the skin, hair and eyes. If you watch the movie albinos, our stories are all villainous. We are heartless and evil. I was 14 before I met anyone who moved like me. The tinted glasses, papers pressed to the nose. It is a day I have never forgotten. After that one meeting, there were many more to come and every time we gather (sometimes close to 1,000 strong) I remember that feeling of identity. I am happy that there are more autistic characters, but there is so much more to do. Someday, maybe we’ll get a character with albinism. A real, three dimensional character. In the meantime, I celebrate your seven months. 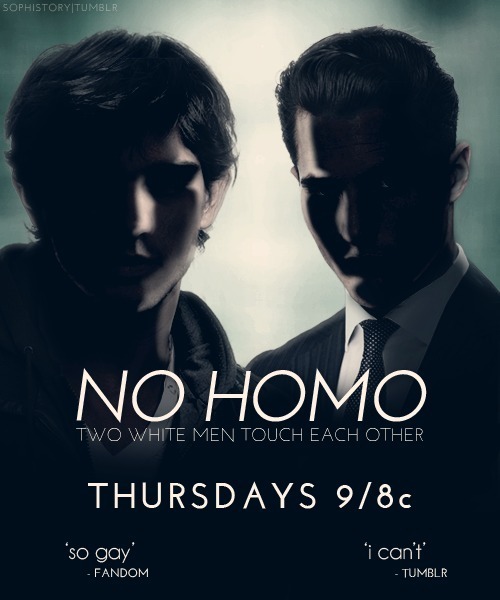 Can someone leave a copy of this in the office of NBC execs? Your post gave me chills and I didn’t even see the show. I did see what you’re talking about – on Leverage. Parker. She’s not diagnosed on-screen, but when she’s in the background of any scene, she’s kind of zoning out or wandering a bit just like I do. And she relates everything to her obsession/chosen career (cat burglar). (When per partners finally talk her into going away on vacation, she comes back gushing about the security systems she saw) And when she’s in the foreground, she’ll occasionally move the wrong way or even bump into someone. And when things go well and she’s at the top of her game, her sheer unadulterated beaming glee is just… right, it fits, it resonates. Brilliant and moving – I feel exactly the same way about this show precisely because of Abed. For the the person with albinism, have you ever watched The Venture Bros? There’s an albino character on the show named Pete White who’s a major supporting character and is one of the ‘good guys’ of the show, has a best friend in Billy Quizboy and despite being an animated character is the most three-dimensional character I’ve come across. Julia – I worry all the time that my child (and yes I just finished reading the Dear “Autism Parents” post) won’t have role models where he sees himself. Yes there’s me and his dad, both of whom are non-diagnosed but see ourselves in our child and hope he sees himself in positive ways in us. I just wanted to say that I can’t wait for him too be old enough to understand your message(s) – he’s only 7 – but I want him to be involved in these discussions, advocate for himself (yes even if it means he disagrees with me…) and be who he is… thank you for the blunt honesty. On Abed, by a girl named Julia. Now I have to watch the whole season again. I found this post on Dan Harmon’s twitter quite a while ago, and I come back to it regularly.Each time I read it it hits me just as hard as the first. I’ve recently dropped out of a college course I hated, and have been struggling with decisions about my future and this has suddenly and viciously given me direction. I want to help people. I want to alter someones life in some way, just as Danny Pudi and Dan Harmon did. I haven’t figured out how yet, but I’m on my way. Thank you for that. What I appreciate about Sherlock is the fact there’s nothing wrong with him. His pathologies are largely due to the fact that *other people* have convinced him he’s broken somehow – because they can’t understand how he thinks. I can relate to that. I relate to Abed and Sherlock equally, for different reasons. i feel the need to point out also that Sherlock has more than one queer character.